Did you read about the pope, Jennifer Weiner, and that it's damn cold outside? 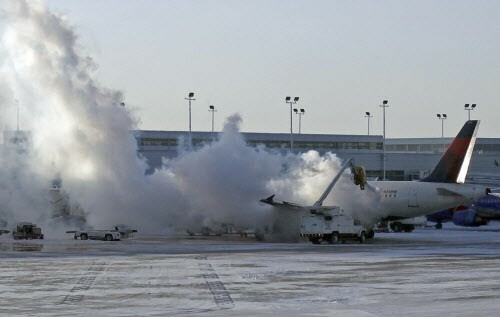 A plane is deiced at Midway this morning. Reader staffers share stories that fascinate, amuse, or inspire us. Did You Read __________? News Did you read?